Extra points if you can answer this one: how many Tribe players can you name? For today’s article, we decided to put your W&M smarts to the test. Yes, a certain level of GPA/standardized test score is required for admission to the prestigious College of William & Mary. 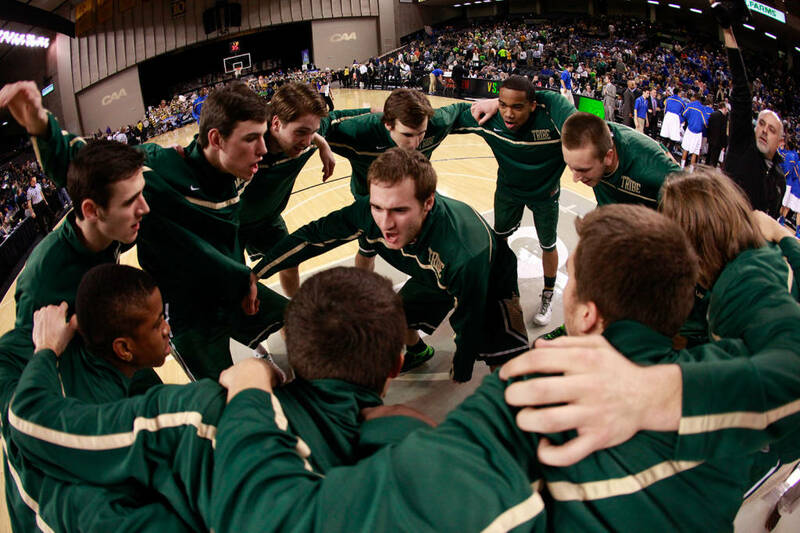 But just how much do you know about W&M basketball? A school with rich basketball tradition dating back many decades, the Green and Gold boasts a celebrated past with several impressive accolades. Test your knowledge of Tribe basketball with our 10-question quiz below. Once you answer, you’ll see how others have answered by % (the actual answers are at the very bottom). Can you go 10 for 10? Well, what are you waiting for?… Get to it! 2003 – What was W&M Head Coach Tony Shaver’s First Season at W&M? 3 – How Many Times has W&M Qualified for the NIT? Marcus Thornton – Who is W&M’s All-Time Leading Scorer? Bill Chambers – Which W&M Player Holds the NCAA All-Time Single-Game Rebounding Record (51)? 1971 – What Year did Kaplan Arena Open? Chet Giermak, John Lowenhaupt, Jeff Cohen – Which Men’s Players have their Numbers Retired? Connor Burchfield – Who is W&M’s All-Time 3-pt Shooter (by percentage)? ECAC South – Which Conference was W&M in just prior to the CAA? David Cohn – Which W&M Player did NOT score 1,000 points or more during his Career? 1905 – What Year did W&M begin its Men’s Basketball Program?